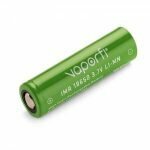 VaporFi E-Cig & Vape Batteries: Enjoy Power Vaping! Every single vaper does a whole lot of things to get the most massive vapor clouds with a perfect flavor taste. We are eager to learn how to build intricate Clapton Coils. We surf through different websites looking for the most powerful and customizable vape mod. We are seeking for the right flavor blend, measuring the PG/VG consonance as well as the flavor components percentages. Having done all that, there’s only one thing we need to take care of for all the synergy of elements to come together in a celestial, heavenly delicious cloud. And that would be, the battery, of course. In this review, we will take a closer look at VaporFi E-Cig & Vape Batteries. This brand has a lot to choose from, so which of the batteries will perfectly fit your vaping device? Don’t be afraid to put your vape mod settings up to the extremes when using this battery from VaporFi. 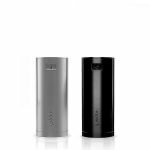 The 18 650 excellence makes it compatible with even the most advanced vaping devices of our times. The 35 Amp rating gives you the highest power for making your vape session unique. You’ll never regret trying this out. Mesmerise everyone around you with the greatest cloud production they have ever seen. 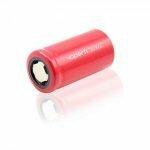 Everyone is already so familiar with 18 650 batteries. But, my goodness, 3000 mAh per each? Talkin’ about the power! A one or two batteries like this can handle basically, any coil that you build. The 20 A constant current gives a drive for smoldering wattage to enjoy. With these batteries, you can vape for so long that you’ll forget when you have charged them for the last time. 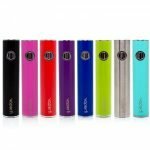 Below you can see the list of VaporFi vape mod editions compatible with these batteries. Even the most experienced reviewers at VapingDaily.com can’t get enough of VaporFi Rebel 3 Sub-Ohm vaporizer. It lacks the LED screen with adjustments, but all the rest is simply amazing. Low resistance at 0.25-0.5 Ohm, 30-70 Wattage, 5.8 ml tank – all this is made for vaping pleasure. And the cherry on top is the 3000 battery with a battery life indicator. Thanks to VaporFi, you can also buy this stunning battery without the whole Rebel 3 kit, in case if you would like to have an additional one. The VaporFi Rebel and Rebel 2 vape mods leave cloud-chuckers satisfied. And it’s no wonder because they get a short-circuit protection, variable voltage, sturdy stainless steel construction, lots of accessories, and of course, powerful performance. If you’re in need of another battery for this device, VaporFi sells it for only $15. 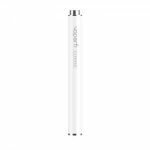 The VaporFi Pro 3 vape pen is made for vapers who care about style as much as about high performance. Here you have batteries for nearly any occasion and mood, compatible with your VaporFi Pro 3 device. Just screw in your tank and start vaping while the other battery charges up. With automatic overheating and over-discharge protection, you can kick back and relax, producing cloud mountains of vapor. If I were about to describe the VaporFi Rocket 3 Battery briefly as can be, I would put it in two words: Simple and Powerful. With only one firing button, you get a fantastic variable wattage rate: 30W, 40W, and 50W with a LED light indicator. Mind also temperature control modes and a happy vaping session is guaranteed. One battery strikes like lightning the whole day. Various colors will help you make a statement. The universal 510 threading leaves room for vaping experiments with different tanks. People who appreciate the perfection of vapor and customizability of the device will certainly notice an Express VaporFi E-Cigarette. So slim, so modern! You can choose the whole Starter Kit with desirable features or just pick a missing piece that you need. They have pre-filled tanks, as well as refillable, and, of course, their batteries are diverse, too. There’s such a freedom of choice! What would you prefer: automatic or manual firing button? Standard or high capacity? It’s your time to choose. But the decision is not limited, because why not go ahead and pick a few ones because they are priced only $15. Compact vaporizers are the new generation that offers a satisfying vaping experience on the go. The VaporFi Air surely makes the difference among them all. This extra-stealthy battery hides perfectly in the palm of your hand. Its grippy rubbery finish is a pleasure to hold. Responsive firing button works simply and intuitively. The battery doesn’t give all the power away in a moment – it works steadily up to the whole day of vaping. The Rebel 3 gives a really satisfying vaping experience. However, the battery life on the 2 I purchased in November and December 2017 both have died.